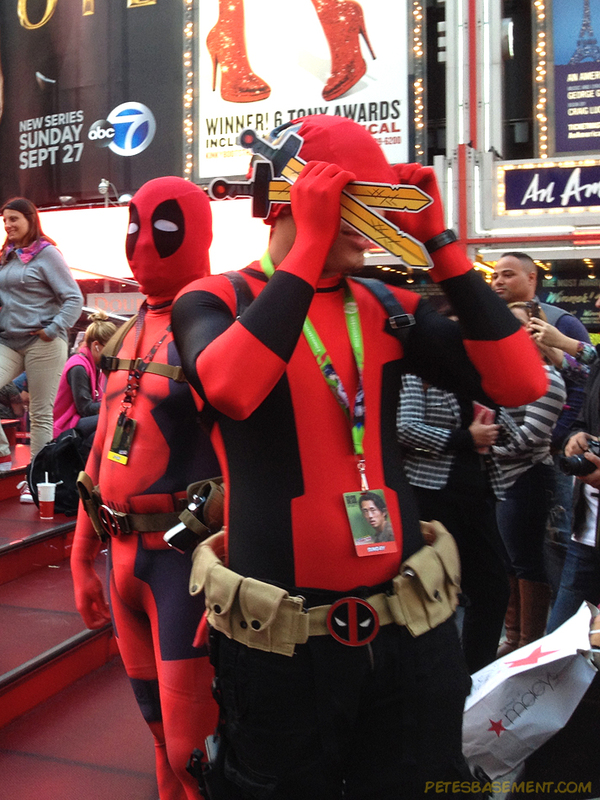 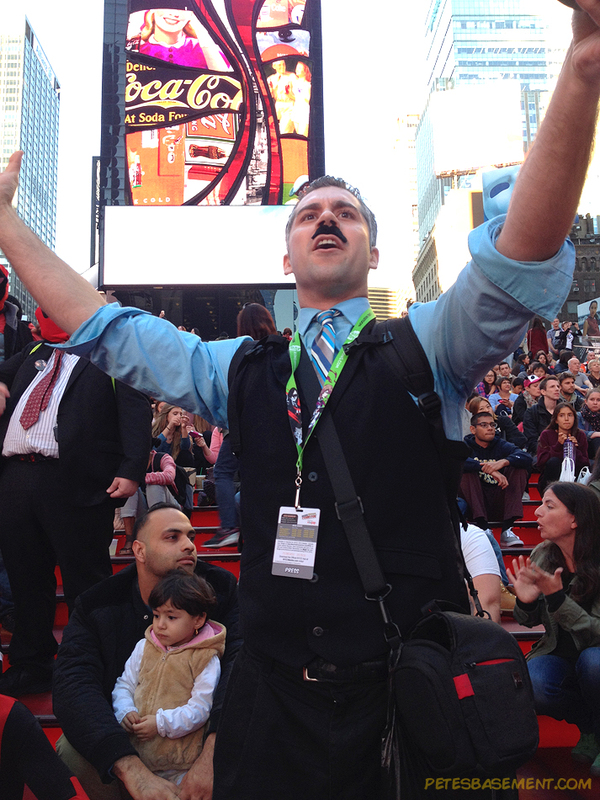 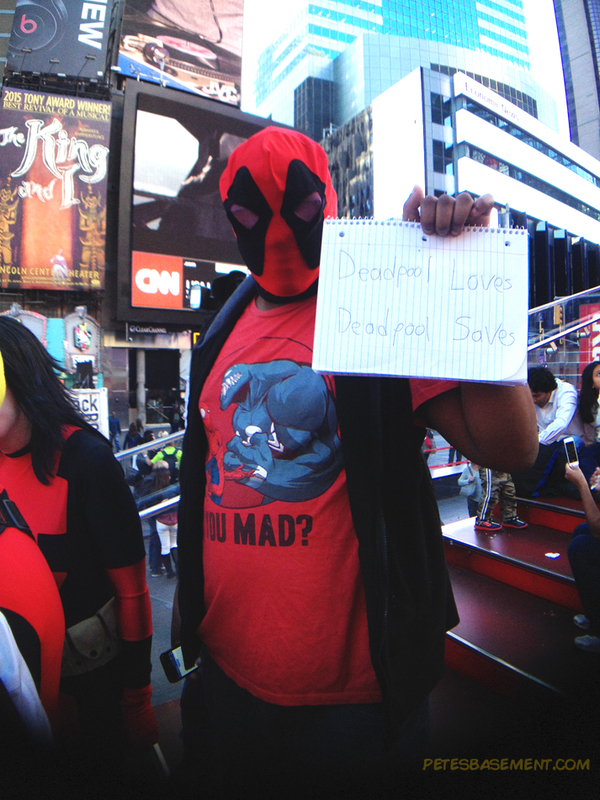 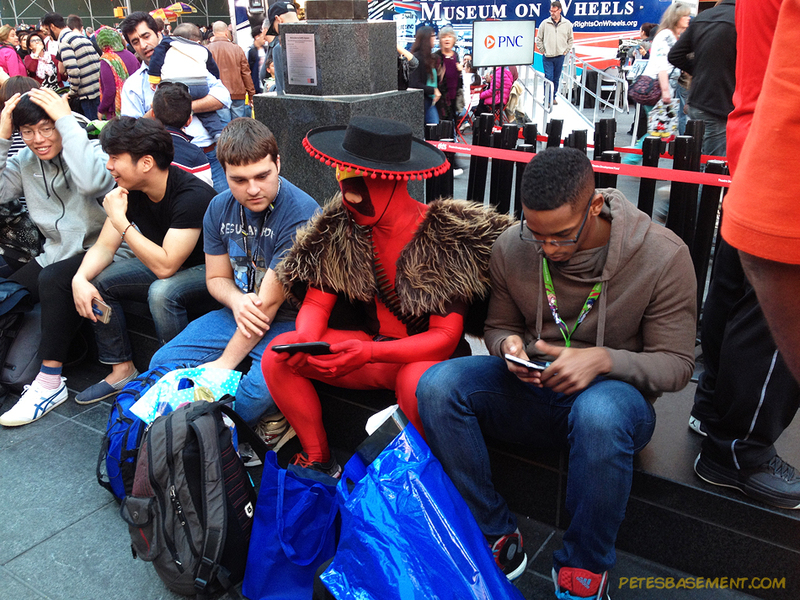 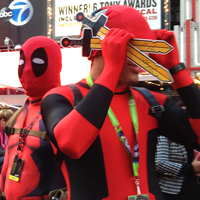 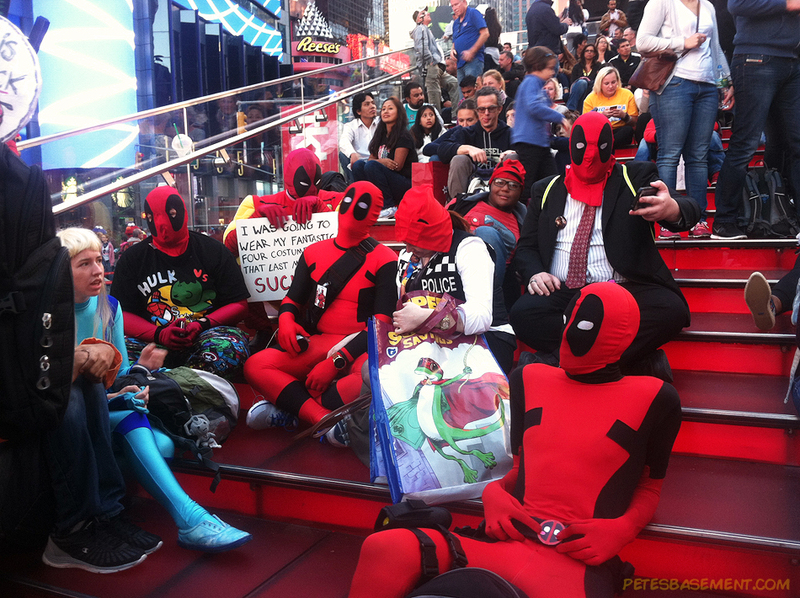 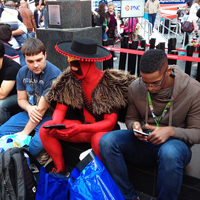 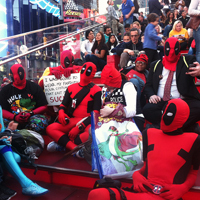 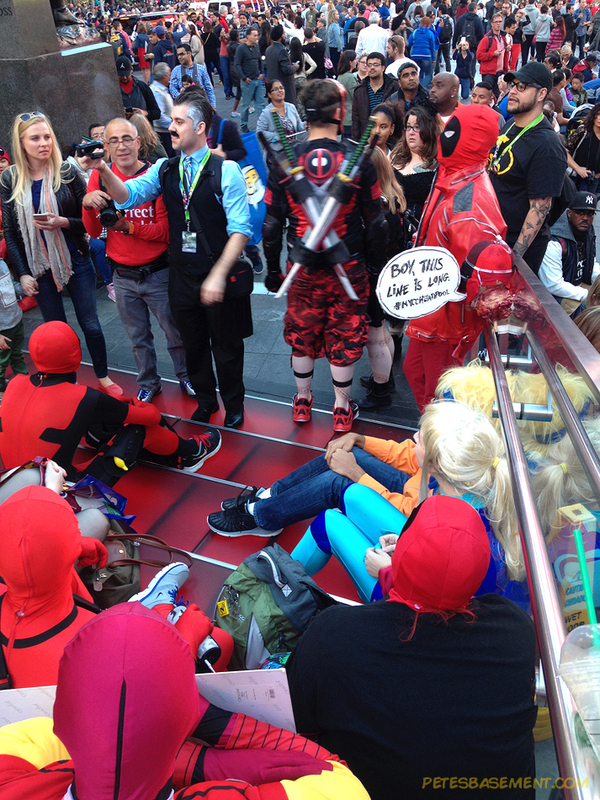 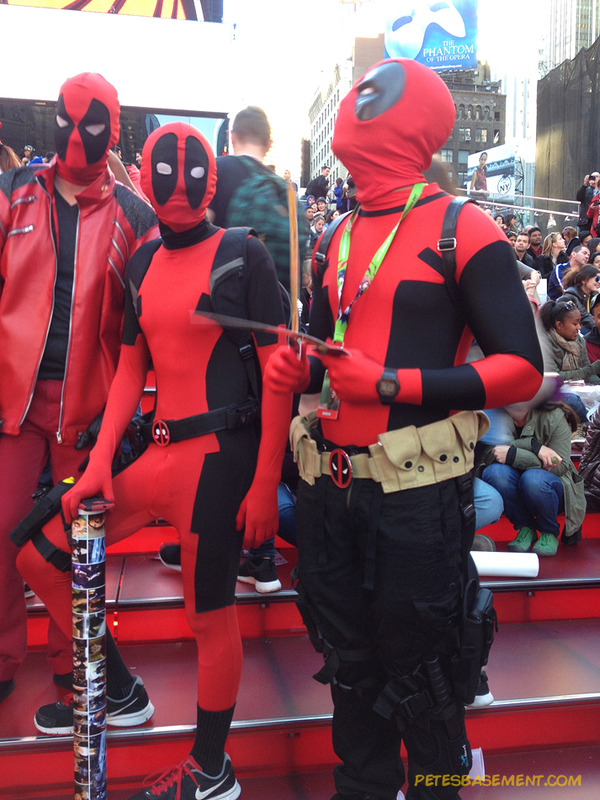 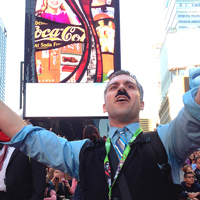 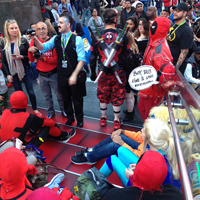 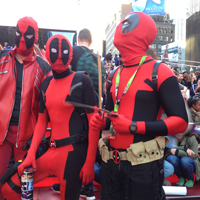 An army of Deadpools gather on the red steps of the TKTS Pavilion in Times Square after the last day of New York Comic Con 2015. 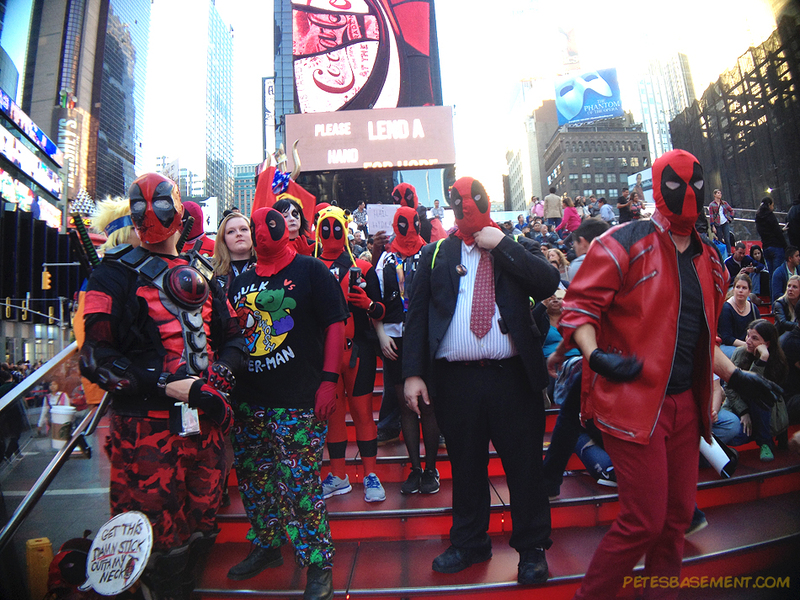 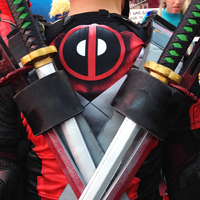 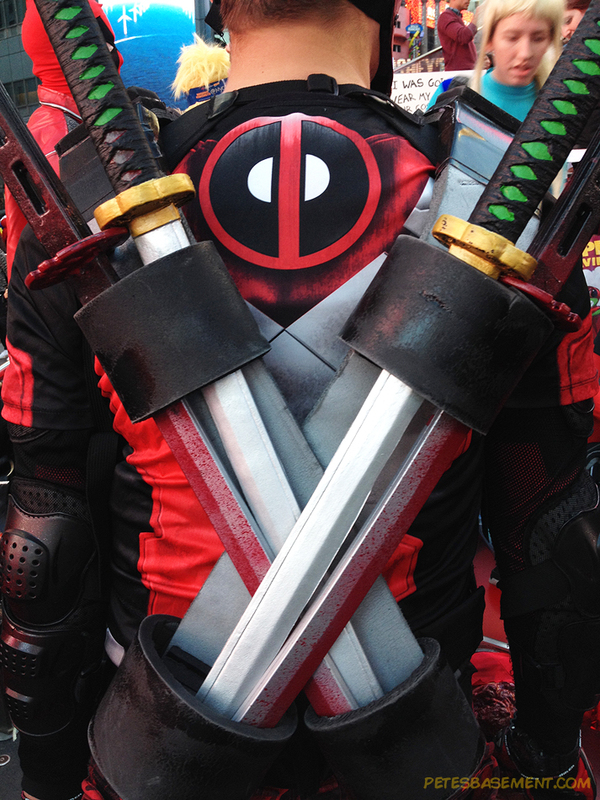 This many Deadpools can only mean one thing, insanity! 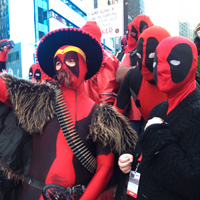 Or someone's giving out free chimichangas? 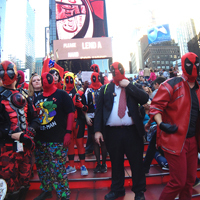 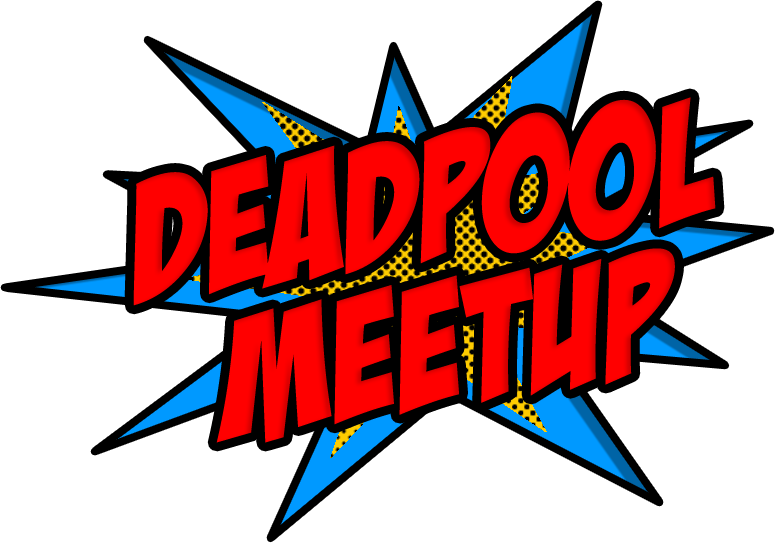 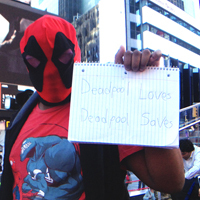 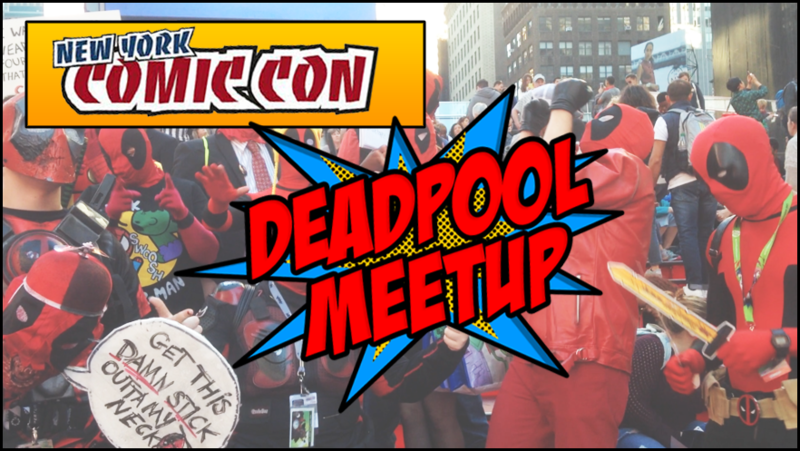 Actually, it was an attempt to set the Guinness World Record for most people wearing Deadpool masks gathered in one place. 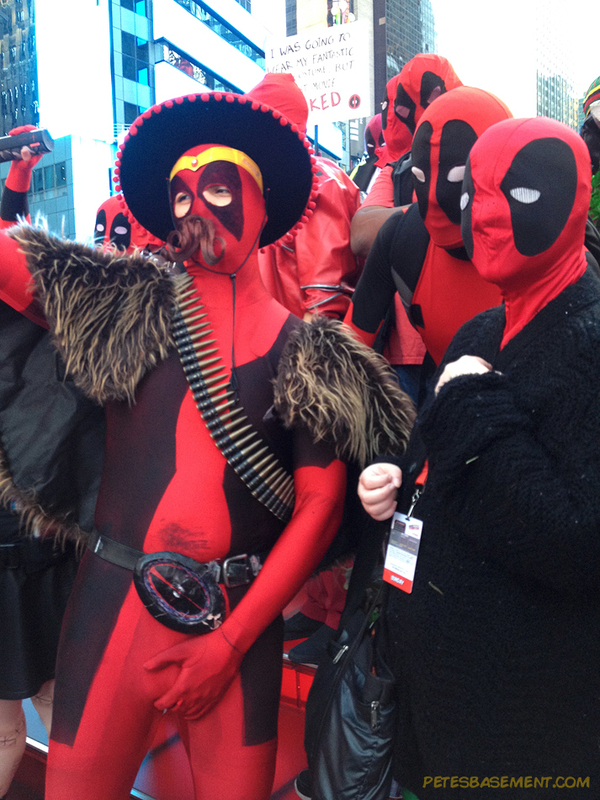 It was just about as wacky as you would think! 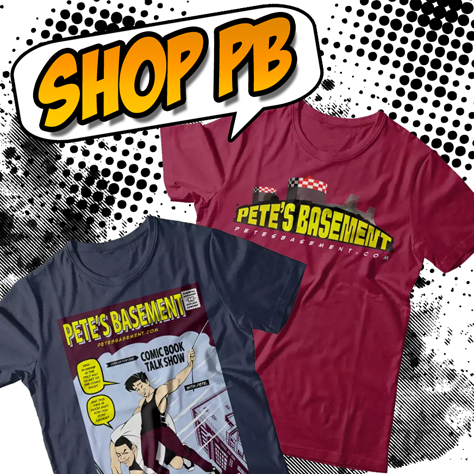 Check out this video from the Pete's Basement Extras channel on YouTube for all the fun.